After high school, Kent Johnson joined the Auburn Community Theater in 1977. At ACT One, he acted, built sets and ultimately began directing shows. It was there in 1979 that Kent met Shelley in the summer show – Camelot. From 1980 through 1982 Kent and his wife Shelley acted in the Ft Wayne Civic Theater where he was Pedro in Man of La Mancha and received an Anthony award for his role of Curly in Oklahoma! Kent & Shelley returned to Auburn and founded Club Flamingo, a musical review theater they operated from 1983 through 1985. In 1985, Shelley started teaching vocal music at DeKalb High School in Waterloo Indiana where Kent co-directed over 60 shows with her as well as being the Technical Director. Since 2008, Kent has served as Vice President of the DeKalb Outdoor Theater where he oversees all aspects of the theater including booking the entertainment and overseeing the volunteer workers (as well as popping popcorn). Kent, along with his wife Shelley, has received the Allen Graber Citizen of the Year Award (2012), Medal of Arts Award (2017), Indiana University Purdue University Ft Wayne (IPFW) Leadership Impact Award in Community Leadership (2018) and Indiana House of Representatives Recognition of Achievement House Resolution (2018). Mary Kay Clark began her love of play writing and directing when she was in 8th grade! She has been a director and playwright for 25 years starting at Novi Theatres (Michigan). There she founded the “little people players,” an acting group designed for 8-11 year olds and directed youth ages 8-18. She moved to southern Ohio where she directed and taught acting and makeup classes with Yellow Springs Kids Playhouse. Mary Kay moved back to her hometown 7 years ago and worked at Country Meadow Elementary where she built a theater program teaching students to be onstage as well as how to run the lights and sound and work the backstage. She also created a daily news and entertainment show, Hawk News, empowering students to write, record and edit each day. Some of her favorite scripts she has written and produced are Fractured Fairy Tales, a story of how a boy and a fairy rewrite fairy tales taking out the kissing, Sleeping Beauty Unplugged, where the past collides with the present and technology, and Beauty and the Beast Revisited, a fun parody of the original. Although she loves writing and directing, she is also familiar with performing having played roles such as Eulalie Mackecknie Shinn in Music Man and the Wicked Witch in Wizard of Oz. 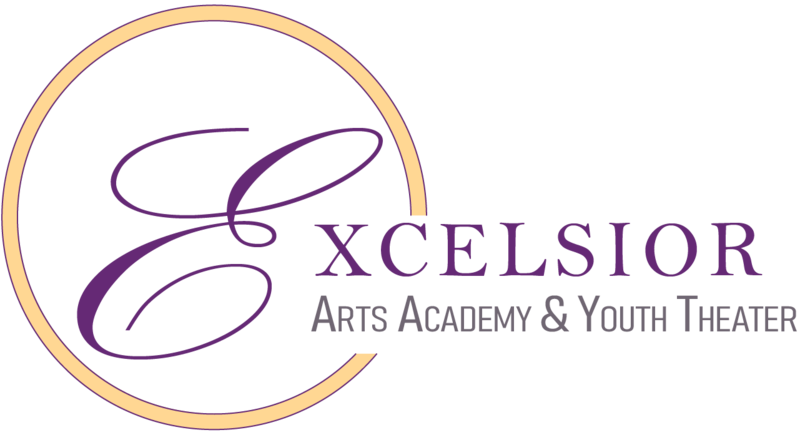 Mary Kay is excited to seek this new adventure with Excelsior Academy for the Performing Arts in Auburn. Shelley Johnson received her BA Music from Indiana University where she was in the marching band – The Marching Hundred as well as the Singing Hoosiers. Shelley taught elementary music along with high school band in Lagrange Indiana at Lakeland School Corporation before teaching middle school vocal music at DeKalb Middle School. Shelley was involved with the Auburn Community Theater where she held many roles including Guinevere in Camelot. Shelley and her husband Kent acted in the Ft Wayne Civic Theater in the early 80’s holding a variety of roles including Grace in their production of Annie. Kent & Shelley returned to Auburn and founded Club Flamingo, a musical review theater they operated from 1983 through 1985. In 1985, Shelley moved to DeKalb High School where she was director of Choral Music and oversaw the 4 time State Champion mixed show choir – Classic Connection, the 3 time State Champion women’s show choir – Sound Sensation and the State qualifying Jazz ensemble – The Dynamix. Shelley co-directed over 60 theatrical performances with her husband Kent while at DeKalb as well as overseeing all of the costuming there. Currently, Shelley is a vocal music and theater teacher at Northrop High School in Ft. Wayne Indiana. Shelley also co-owns WySh Designs, a wedding and special event floral shop. Nick is a private voice teacher in Auburn, IN. After graduating from DeKalb High School he obtained his bachelor’s degree in music education from Ball State University. In addition to teaching private voice lessons, he is the assistant director and choreographer for the show choirs at Northrop High School as well as serving as a choreographer for several other schools in Indiana and Ohio. Nick is an adjudicator on the show choir circuit and judges several show choir competitions each season. When not teaching lessons, working with musical groups or judging, he can be found cheering on the Indiana Hoosiers, for whom he is an avid fan. Jennifer VanAntwerp, a 1994 DeKalb High School graduate, is thrilled to be returning to her musical career at the Excelsior Arts Academy. Jennifer spent her high school years at DeKalb HS as a member of Classic Connection and as a drum major for the Baron Brigade marching band. She received her Bachelor’s Degree in Vocal Performance, with a concentration in Classical/Opera, from Millikin University in 1998. VanAntwerp’s studio opened in 1999 in San Antonio, Texas where she instructed voice in all genres for the next ten years. In 2003, Jennifer received her Bachelor’s degree in Music Education and began her teaching career as a middle school choir director. In 2005, VanAntwerp returned to Indiana to begin the Summit Sound show choir and continue her voice studio, at Bishop Dwenger High School, with her husband Ryan. Jennifer returned to school and received her degree in nursing in 2007. In her “free time,” Jennifer loves watching her son play hockey and baseball, her daughter in her first year of show choir and band, and loves to vacation on the beach whenever possible!